A replacement for Beocord 8800 V, which included the improvements that had been made to the the Philips VR2022, the most important of which was the picture search system. 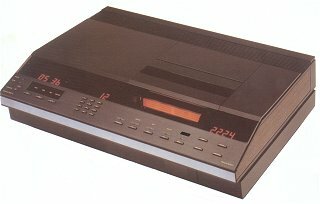 This would be the last B&O V2000 model to be offered in the UK, though others, such as the Beocord VCR 60, were sold in mainland Europe for a few more years. Text copyright © Beocentral. Unauthorised reproduction prohibited.